Wal-Mart Stores Inc (WMT.N) is teaming up with Alphabet Inc's (GOOGL.O) Google to enter the nascent voice-shopping market, currently dominated by Amazon.com Inc (AMZN.O), adding another front to Wal-Mart's battle with the online megastore. Google, which makes the Android software used to run most of the world's smartphones, will offer hundreds of thousands of Walmart items on its voice-controlled Google Assistant platform from late September, Walmart's head of e-commerce, Marc Lore, wrote in a blog post on Wednesday. 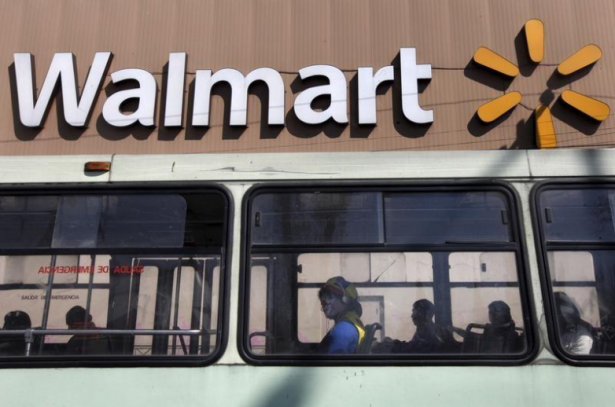 Lore, who joined the world's largest retailer after it bought his e-commerce company Jet.com, said Wal-Mart would offer a wider selection than any retailer on the platform. Amazon, whose voice-controlled aide Alexa allows users to shop from the retailer, has the lion's share of the U.S. voice-controlled device industry, with its Echo devices accounting for 72.2 percent of the market in 2016, far ahead of the Google Home gadget's 22 percent, according to research firm eMarketer. Amazon has also dominated Wal-Mart and other brick-and-mortar retailers in online sales. Wal-Mart has begun pushing back aggressively, however, offering discounts to customers who buy online and pick up in-store, and free two-day shipping for purchases of $35 or more. The latter move even forced Amazon, which rarely imitates the competition, to lower its threshold for free shipping. Lore said in the blog post Wal-Mart was also integrating its quick reordering tool into Google's same-day delivery service. "One of the primary-use cases for voice shopping will be the ability to build a basket of previously purchased everyday essentials," he said in an interview. He added that Wal-Mart has bigger plans for voice shopping next year that will involve capitalizing on its 4,700 U.S. stores to "create customer experiences that don't currently exist within voice shopping anywhere else." Customers might be able to use voice shopping to pick up a discounted order in-store or buy fresh groceries across the country, he said. But while both Amazon and Google's voice-controlled speakers are gaining in popularity, people still mainly use them for such basic tasks as placing phone calls or playing music. To boost voice purchases, Amazon has started offering Alexa-only shopping deals. "We're still in early days, but shopping isn't yet one of the big uses of the devices," Victoria Petrock, principal analyst at research firm eMarketer, said on Tuesday. "Obstacles to people using the devices to shop are cost and privacy. A little more than six in 10 people are concerned that these virtual assistants are spying on them."